Design Presentation provides Paper to CAD conversion support for a wide range of clients, including architects, contractors, engineers and real estate developers. We work with hundreds of reprographic firms around the world, who scan paper drawings to convert them into raster images. 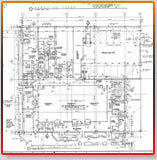 Our repro partners can convert your paper drawings into vectorized CAD formats. Paper to CAD conversion services, or paper2cad services, are about converting raster images into fully editable CAD files. We manually redraw the scanned image, thereby converting your scanned paper drawings into various CAD formats (including dwg, dxf, dgn, etc.). By working with our repro partners, we can support all of your Paper to CAD conversion needs. 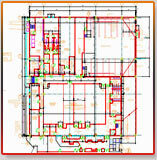 If you need your paper drawings converted to CAD, please contact us. We can work with a reprographic company near you to convert your documents into fully editable, perfectly re-created CAD drawings. 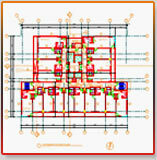 We would be happy to provide you a quote for any of your Paper to CAD conversion projects. 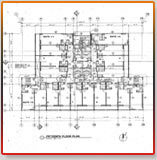 We can handle all size drawings and all drawing formats.